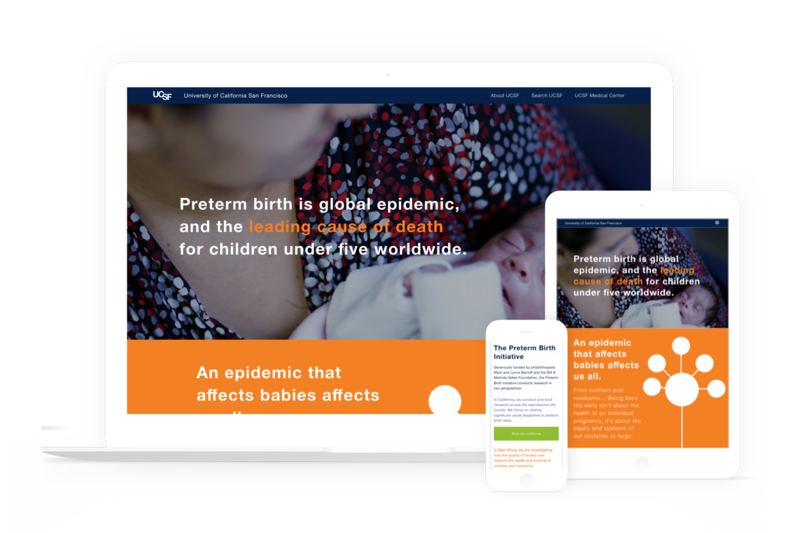 UCSF's Preterm Birth Initiative conducts and funds research across the reproductive life course, domestically in California and globally in East Africa. They're committed to research that makes a difference outside of the lab and translates to real life. We designed a built a single page marketing site that highlights this organization's mission and provides access for deeper engagement.